Let’s talk floor seats for your baby! See ALL infant floor seats here. It was time to get a floor seat for baby. At first, I didn’t even know what I needed. 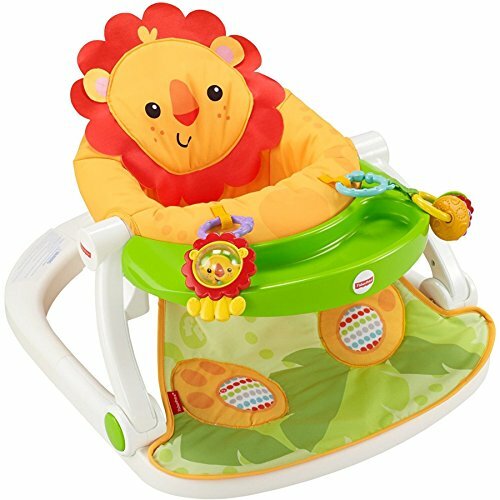 I started searching for “baby seats,” “infant seats,” “booster seats,” and finally settled on checking out infant floor seats when I saw that, as long as Baby can hold his head up all by himself, and is on his way to sitting up unsupported, he can be supported with a baby floor seat. Another reason I wanted to buy a floor seat is that I needed another position for playtime. See, no one really tells you that if Baby spends too much time on his back, it can cause a flat head, which may need to be corrected with a helmet in extreme cases. You prevent a flat head with tummy time and by making sure Baby doesn’t spend too much time in positions that cause flat head syndrome. But here’s the thing: my li’l guy doesn’t want to spend 8 hours a day on his tummy and I’m a busy work-at-home mommy. When Can Baby Use a Floor Seat? 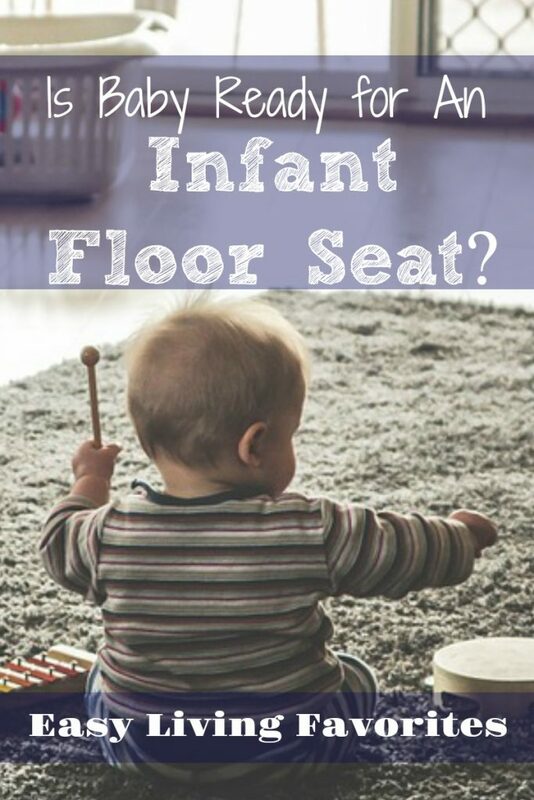 You’re probably wondering, “When can my baby use a floor seat?” And the answer is probably around 3 months, or as soon as he can support his head all by himself. This doesn’t mean he already needs to be sitting up unsupported. 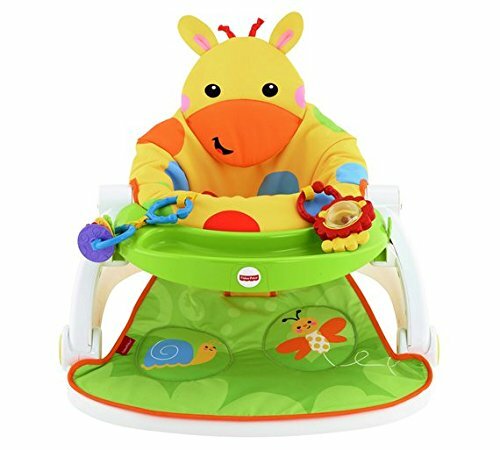 It just means that, as long as he can hold his head up without wobbling, he’s probably ready – or nearly ready – for a baby floor seat that’ll keep him supported in a sitting position. You can expect your baby to be ready as early as 3 months old but definitely between 4 and 6 months. 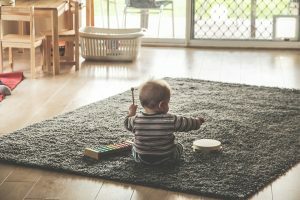 Are Infant Floor Seats Safe for Baby? Safety is a big concern, isn’t it? And we have to be vigilant. But it turns out that as long as you use these seats correctly and for the appropriate age and skill level, they are safe and even help out with development. The key here is that you make sure Baby is old enough, strong enough, and has developed enough to be safe when using an infant floor seat. You want to pay attention and be on the lookout for any recalls, too. If you’re thinking about how to use baby floor seats for sitting up, I want to say something here. In my research, I’ve learned that you only want to use a floor seat for infants for NO MORE than 30 minutes a day. And starting out, my li’l guy only does 10 minutes MAX before he’s tuckered out. Sure, you want to use your baby floor seat for sitting up, play time, and meals if your seat allows for that. But you also want to limit the amount of time Baby spends in his seat. 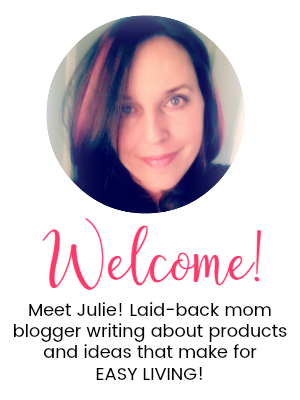 You’re just rotating this activity in with Tummy Time, babywearing, positioning, and other activities throughout the day. Since my li’l guy is still so young, I started looking at baby floor seats with back support. I wasn’t comfortable with strapping my 4-month-old into a seat that didn’t support his back and torso. 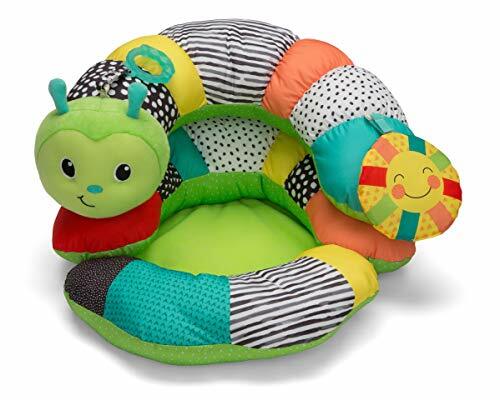 What I found were some interesting options – cushy soft infant seats keep Baby low to the ground, supported, and even do double-duty. 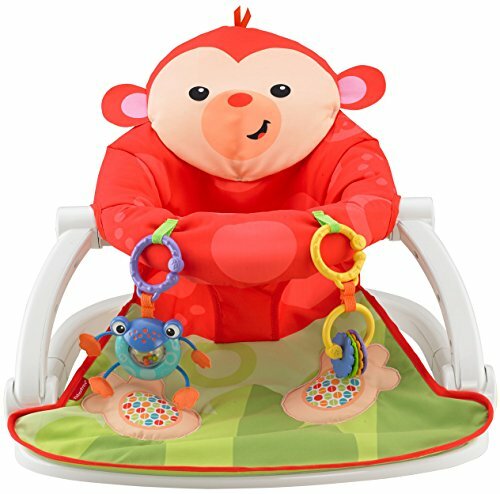 The products I kept seeing from the beginning of my search were portable Fisher Price floor seats for babies. These were pretty cool. 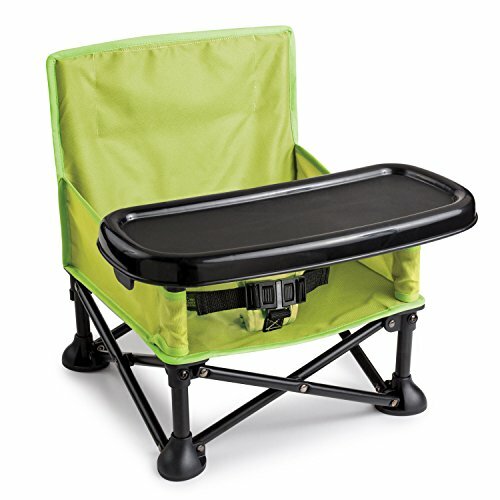 Portable seats with machine washable covers, with and without trays, toys attached, and they folded up for storing or travel. 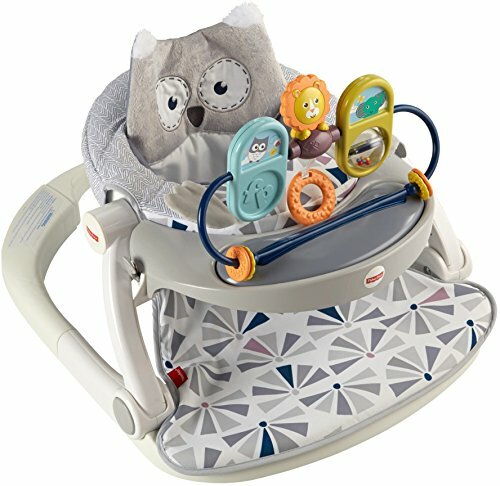 The ONLY reason I did not purchase a Fisher Price baby seat was that, at the time I wanted to purchase, none of them were in stock! (Can you believe that?) And, frankly, I was impatient and didn’t want to wait any longer to buy. If you’re not in a hurry and these are available, I think these are great choices! 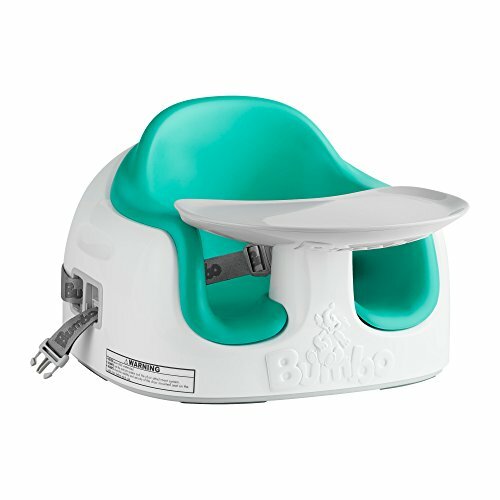 What about the Bumbo infant floor seat? 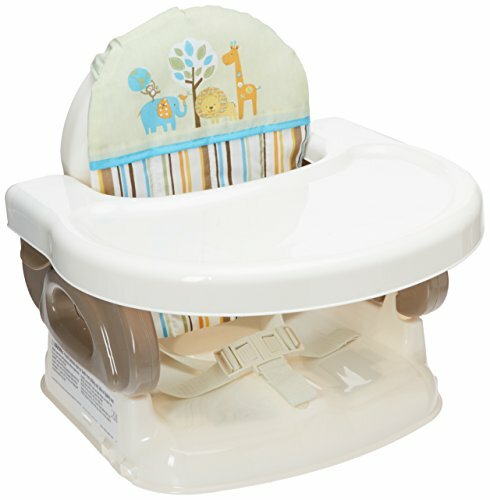 I liked what I read about the Bumbo infant seat. I liked the color options and I liked that there was a removable tray. 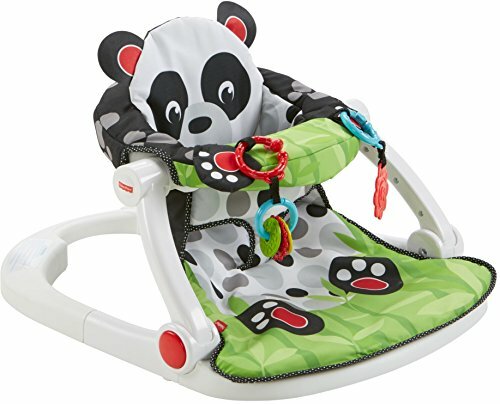 When I came across the Summer Infant seat I talk about below, I liked that there was a tray for feeding and a tray that had toys already attached and you could use them separately or together. When I read up on preventing flat head syndrome, it was suggested that it’s better if baby’s legs are on the floor, like they would be if they were sitting up themselves. 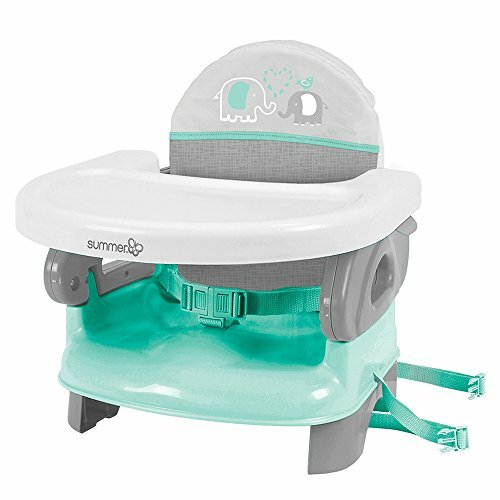 The Bumbo – like the Summer Infant seat – is raised up like a booster seat. If you want baby’s feet and legs on the floor, go with one of the Fisher Price seats. I was surprised by the Summer Infant floor seat. It was similar to other seats that had removable, washable seat covers, but it came with some cool accessories. 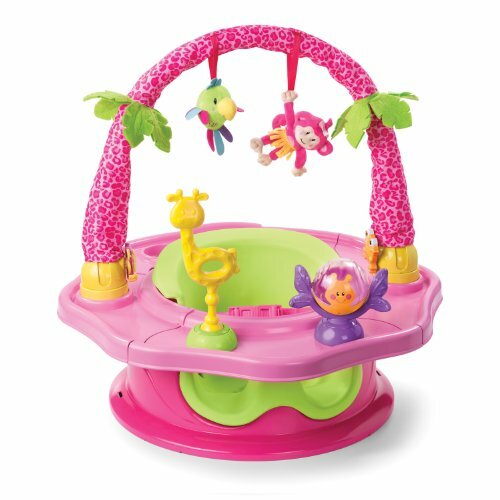 This one has a removable tray that encircles Baby. 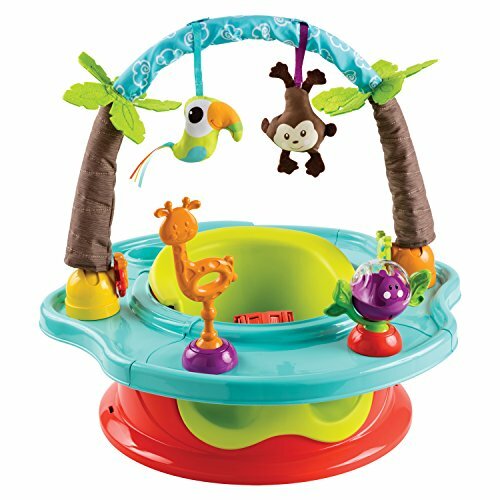 Part of the tray is used for feeding, the other part has attached baby toys like shapes to sort, beads to push around, and a spinner that rattles. You can use the tray all put together, or you can separate it and just use what you need at one particular moment. 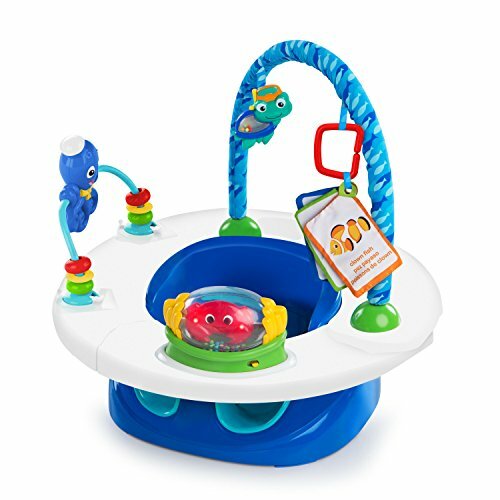 I like that it’s an infant seat, a playtime set, a mealtime seat, and a booster seat. This floor seat will grow with my baby. 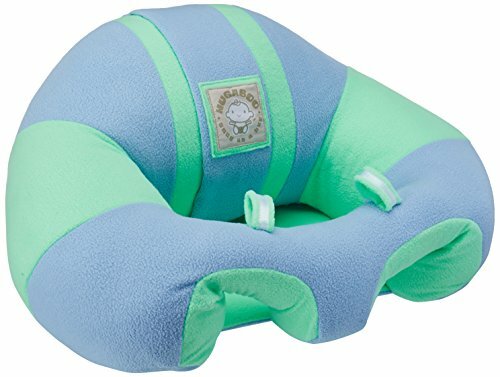 I finally settled on the best infant floor seat for my needs, the Summer Infant 4-in-1 SuperSeat. I really like that it has 4 stages for my baby’s growth and development. 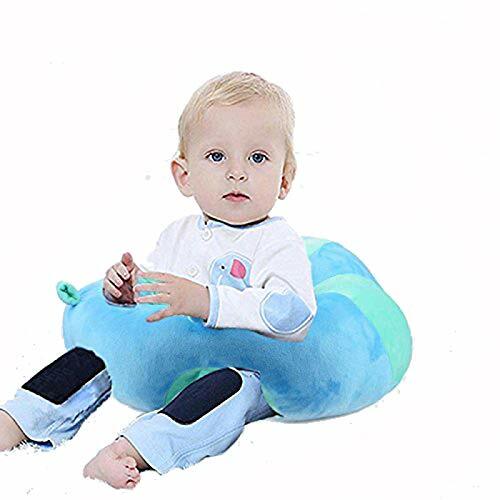 You can use it as an infant support seat, as a baby floor seat with a tray and toys attached, as a baby floor seat with snack tray, and as a booster seat. 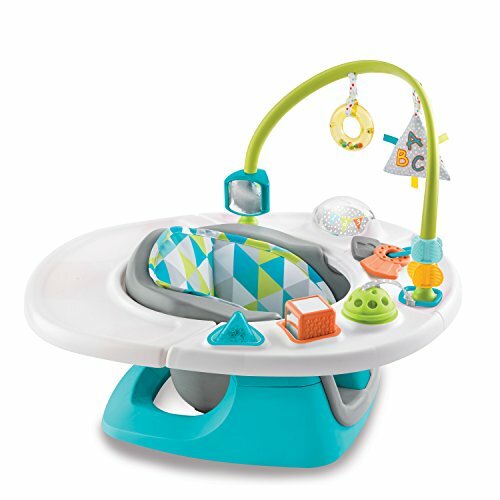 When I was shopping around, I knew I wanted a baby floor seat with tray for toys and snacks. Right now, my little guy is just reaching out for toys and grabbing them, so the tray makes it nice for putting out a few toys for him to look at and grab. As he grows, his needs will change. I can use the tray for different toys and, when he starts with solids, I can use the tray for mealtimes. My son’s comfort was a priority for me. Portability was the next priority. 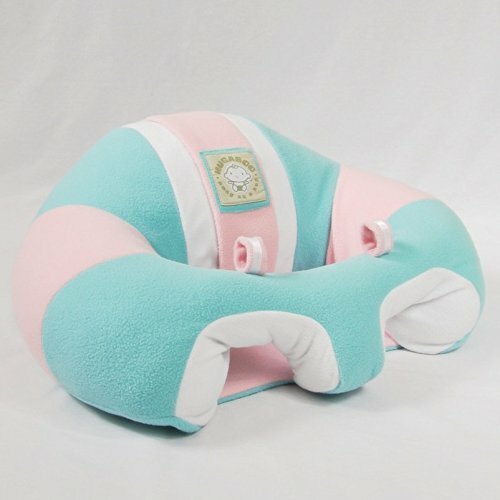 So I was looking for a comfy, portable baby floor seat that wouldn’t take up much space and would be easy to take with me when I’m dining out or traveling. I was certain I wanted a floor seat that folded up, but my final choice does not do that. It’s probably the one drawback. If it’s important that your baby seat folds up, you want to make sure the floor seat you choose has that option. I will say that my Summer Infant baby seat may not fold up, but it doesn’t take up much space and I can take the tray off to store out of the way when I’m not using the seat. 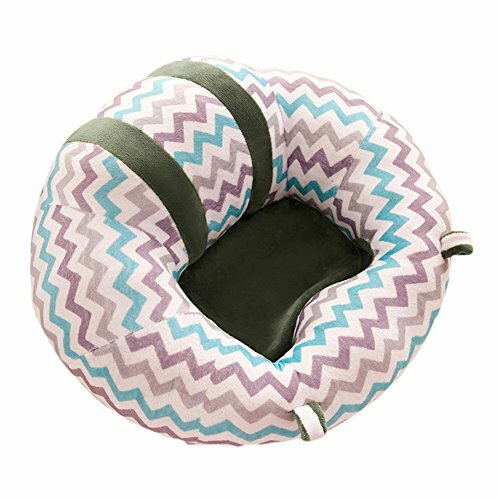 If you’re looking for a portable baby seat for infants, you have some great choices! Check out my top picks below. Maybe you want more than portability, you want a folding baby seat for infants so you can store your seat out of the way – this is a BIG DEAL when you have limited space. And I’ll tell you, baby stuff takes up A LOT of space, so if you can save some, I encourage you to do so! 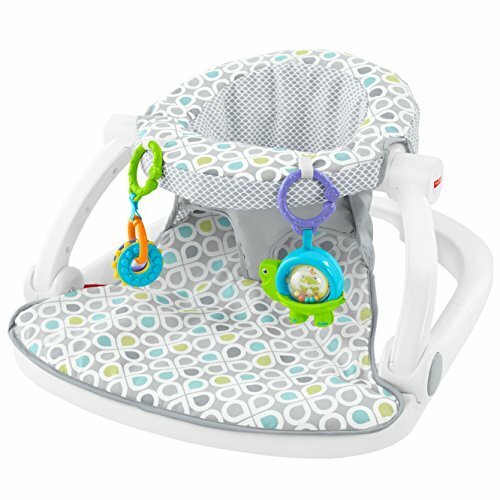 If you’re facing the baby floor seat vs high chair dilemma, let me share my thoughts. If you get a floor seat for baby that grows and adapts with your child, you probably will not need a high chair. The only reason you’d need a high chair is if that’s what you prefer or if you like the features of a high chair better than a booster seat. You’d also need a high chair eventually if you purchased a floor seat that your baby grows out of, and there’s no way to know for sure if this will be the case for you. As for me, I’m prepared to consider a high chair down the road if my li’l guy outgrows his floor seat. Check Out My Baby Board on Pinterest! ← 8 Best Kids Lunch Boxes with Compartments and Meal Ideas for Back to School | Bentos and More for 2018-2019!